Studies suggest that supporting my Patreon will make all your dreams come true. Ex Compressum is an Ex Nihilo addon that provides tools to reduce the initial grind in skyblocks in a balanced way. In Minecraft 1.10.2, it supports both Ex Nihilo Omnia as well as Ex Nihilo Adscensio. Kryllyk has made a Mod Spotlight on Ex Compressum, go ahead and check it out! It's on the file page. OK, I looked on the wiki. Thanks, the ore dictionary thing was getting annoying. Is there any plan to support the higher compressed cobble and gravel? I am having a game crashing problem for my private modpack in minecraft 1.7.10 from looking at the crash log it looks like the problem is stemming from the compressed hammer but not sure, here is a copy of the crash log, not sure what to do. I want to state that fast-craft is enabled. Gonna leave the mod addon out until then. great mod though. Updating Ex Nihilo to the latest version should fix the problem. yeah i saw that Ex Nihilo was out of date and it is fixed. now to fix the fluid registry problem. Ugh, I switched it around for testing and forgot to switch it back. Fixed version should be approved in a bit. 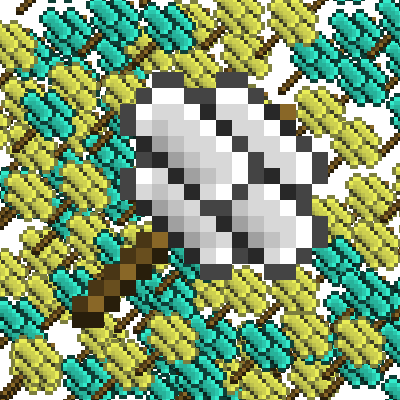 Can you change the auto hammer to make it so I don't have to add extra hammers that have durability to speed it up and don't have to make an auto-compressed hammer? Something like an extra hammer upgrade that's crafted with a diamond hammer with iron on all sides of it and gold (or something else) in the corners. So it adds extra hammers but the extra hammers don't use durability. I have been having a problem where the compressed hammer doesn't cause the blocks to drop. I break compressed cobblestone and no gravel drops. Hypothermia Pack uses wood chippings to make clay. Its the only recipe for clay. Is there a way to fix wood chippings in this mod. I tried the suggestion below by adding the lines but it doesn't seem to bring back wood chippings. I'm going to try and figure out the code, but I haven't messed with Minecraft or Java coding in a couple years. Please advise. Thanks. Check Sky Factory 3 for reference on how to properly insert the stuff into the json files, I believe they've gotten it to work correctly. My game was working fine at first, but now I get mins in and I keep crashing due to a CoFH error within Ex Compressum. For now, I have just removed the CoFH assests from the jar file. I have nothing in my pack concerning cofh and not sure why it keeps causing the crashes. Suddenly I don't get any items when breaking extra utilities compressed blocks. If I break the ex compressum blocks I get their drops though, but I can't make it produce only one type. The auto compressor does not work with loot bags. why? i don't get wood chippings when a smash a tree with the hammer (normal or compressed). is it because of ex nihilo adscensio? Have you tried it on Vanilla trees? Seems an update in Adscensio broke wood chippings. See here for a temporary workaround.